A whopping Rs 163 crore and 100 kg bullion have been recovered in what is being seen as one of the biggest seizures till date by the Income Tax Department. The searches were launched yesterday at the premises of M/s SPK and Company, a road construction firm in Tamil Nadu, which is working on state government projects. “About Rs 163 crore cash, which is suspected to be unaccounted, and bullion and gold jewellery weighing about 100 kg have been seized so far. The raids are still going on,” an I-T department official told news agency Press Trust of India. MK Stalin-led DMK has alleged that the said firm, SPK and Company, is run by the kin of Chief Minister Palaniswami. As per DMK’s complaint, filed with the state vigilance department in June, the company is run by a benami of the chief minister and was awarded six-laning of the Vandalur-Walajabad road. As per officials, the said seizure was probably the biggest so far in raid operations anywhere in the country. The investigations were conducted through the Chennai wing of the I-T department. As per an I-T official, the department found “evidence of suspected tax evasion by the firm and its associates” that were believed to have political links. The search operation will continue further. So far, a total of 22 premises — 17 in Chennai, four in Aruppukottai (Virudhunagar district) and one in Katpadi (Vellore) — have been searched. The agency officials said that the seized cash was kept in big travel bags and parked cars. 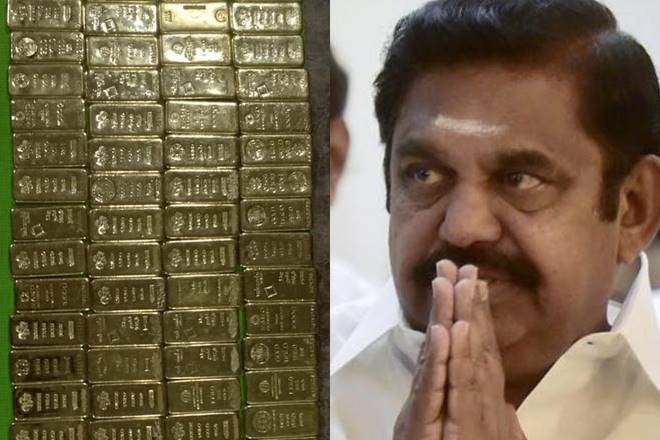 Dozens of gold biscuits were also seized by the agency. The department has also seized a number of documents and computer hardware.